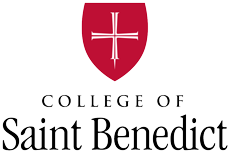 In 2016, the College of Saint Benedict received the largest gift in our history: a $10 million commitment from an anonymous donor to create the Center for Ethical Leadership in Action (CELA). The gift permanently transformed the Saint Ben’s experience by providing opportunities for high-impact experiences that go far beyond the classroom, such as internships, mentoring, speakers, workshops, research, service learning, fellowships and studying abroad. These opportunities transform students into leaders. Just ask Lesly Gonzalez-Barragan ’20. As a first-generation college student, Lesly knows a thing or two about overcoming obstacles and breaking down barriers. CELA has been a powerful tool for continuing her fight. With CELA’s help, she spent a summer interning for the Roman Catholic Archdiocese of Minneapolis and St. Paul, specifically working with Latino and youth ministry.